Let us tell you a story about lilies. One legend about them says that since they look like stars, they originate from shooting stars fallen to earth. That’s what people used to say about them a long time ago, and this story has persisted. It certainly sounds magical and unbelievably beautiful. People really need something that would make them believe that miracles happen every day and that beauty is everywhere around us. And why can’t all this be hidden in one single flower – the Lily?! It’s the way you perceive the world that makes it so majestic and wonderful. So, in this sense, why Variegated Colours Lilliescan’t the lily be the gift of the sky to us, humans? The very fact that the star-shaped lilies of the Lilium genus exist in so many varieties and colours is enough to make you believe that nature is capable of so many things on its own, and if you think of a lily as one of its many miracles, it can surely become one in your mind. Some lilies are speckled with little dots, others are tinted in one or two shades, but you can’t deny that all of them look magnificent. And how can they not? It’s not just their star-like form that makes them stand out in a flower arrangement when placed next to greenery and other flowers; it has to be something other than that which makes people admire lilies so much. What could that be? 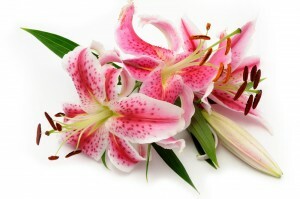 The ones to whom lilies are the favourite type of flowers will know the exact answer. And each time it can be different, since some will like a specific type of lily because of its colour, and others will love the way they Lillies Delivery UKsmell. 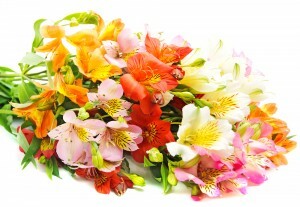 Flower Shops is the flower delivery company that keeps many types of lilies fresh and beautiful especially for you – to enjoy and to send them to the ones that love them with the presumption that you’ll put that somebody in a magical place when they open the door to a delivery of lilies. An unexpected and delightful view, indeed! The history of lilies, as far as people know, starts in the northern hemisphere and specifically in the woodlands where the climate is mild and not dry. They used to hide in the shades of the trees or bushes around them in order for their bulbs to stay damp and protected from the heat. Before the nineteenth century Europe knew only the white lily. But later, the pink and the yellow ones were brought from Asia. An interesting thing you may want to become familiar with is that in ancient times lilies were given to the local kings from the foreigners that visited them as a symbol of submission and willingness to collaborate. Back then, lilies were also used as décor for special events held in the court. And again, supposedly around this time, they were a popular present for women as an attestation of love. We wouldn’t risk saying that lilies are the easiest flowers to look after. Just like people, some of them have more whims, others fewer. But at least they can last for a long time. Spring is the season when lilies start to blossom and for some species this can continue till early fall. They are appropriate for somber occasions like funerals but also for happy ones like weddings, for example. As they come in many colours, they have multiple applications. Flower Shops will not only deliver bouquets of lilies to the correct address at the right time but it will also do it with minimum efforts on your part. One quick phone call on ‎020 3900 2440 is more than enough.